Day 2 complete! Interestingly enough, I woke up with A LOT of energy. Did about 20 min. of meditation, followed by an hour long yoga class with the younglings. Headache – gone! Feeling great. This is WAY easier than I thought it would be. 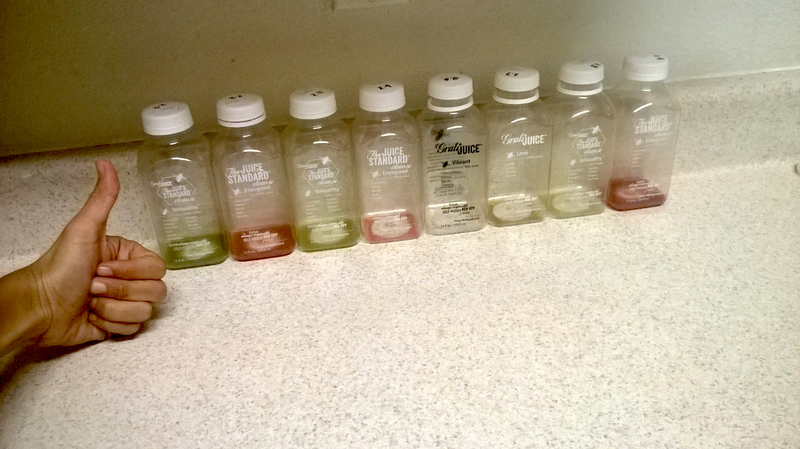 The other cleanses I’ve done in the past were very psychologically draining and you feel like you’re starving yourself. It took a lot of discipline. Not a juice cleanse though – very different. I have to remind myself to keep drinking every 1-2 hours. Again, the drinks are super yummy, so no sweat there. You don’t feel deprived of any certain taste as there are some fruits, some veggies, some herbs, roots, and spices, and some nut mylks. My husband joked that it would be nice to eat some almonds as my kids were chewing away, but what was funny was I couldn’t even picture it. It felt like it would be too much on the system (even only after two days). I see why it’s important to break the fast with fruits and veg – and not meats and grains (HEAVY). 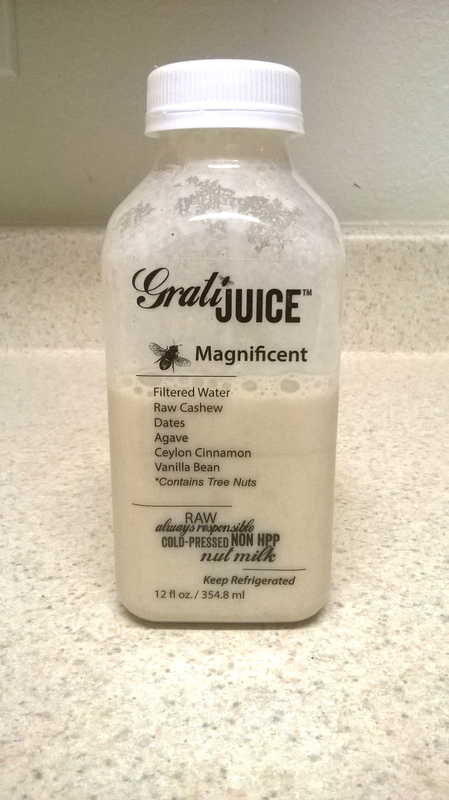 My favorite drink is the nut mylk or “Bee Magnificent”. I think it’s because I’m nursing and it feels like a little more “substance” and it happens to be delicious! Pressed cashews with dates, agave, ceylon cinnamon, and vanilla bean makes me feel happy. And they put it as the last drink so you feel satisfied all night long – genius really. I can’t get enough of this stuff…. That’s my night cap. Life is good…..